. . . to the United Methodist House, one of the denominational houses at the Chautauqua Institution in southwestern New York state. 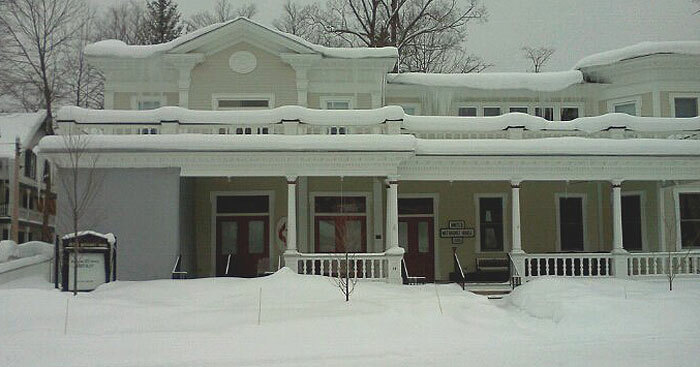 The House is located at 14 Pratt Avenue on the Chautauqua grounds, just across from the famous Amphitheater. 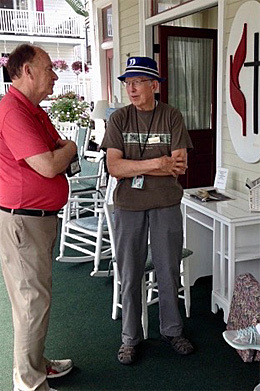 During the nine-week Chautauqua season, it is a center for worship, fellowship, and learning. The spacious porch, parlors, quiet Chapel and Memorial Garden make an inviting and comfortable place for rest, refreshment and conversation. The resident hostess and host coordinate the many events that take place at the House and welcome weekly guests to their rooms. What's it like to stay at United Methodist House? 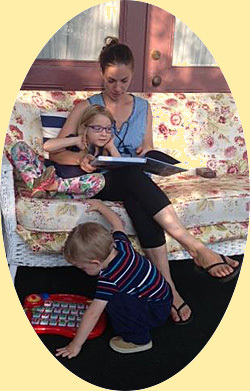 “You have to experience it,” says a blogger who spent time at the House one recent summer. Room reservations for the 2019 season were taken October 1, 2018, and the house is now fully booked. For information about a waiting list, feel free to call Hurlbut Memorial Church at 716-357-4045. During the “off” season — the other 43 weeks of the year — the United Methodist House is available as a retreat and renewal center for individuals, families, and church groups.